Looks like someone else has already made some progress with mass effect modding, and is actually bothering to do art stuff themselves. Godspeed, nonlazy person! I would like to bring, mainly, the Reaper ships and the Normandy into Starfarer. If possible, the Alliance, Turian, and other races' ships would also be nice. I'm a bit of a coding wizard, but I am utterly incapable of art, and can't be bothered to learn about cleanly ripping sounds. A decent Reaper ship recreation in the proper perspective, battle ready with main weapon exposed, capital ship scale as big as possible without causing collision problems. Reaper beam art. A nice deep red Tachyon beam recolor would suffice. More accurate and creative recreation encouraged, though. Reaper main cannon art. Looks like a camera lens. A clean rip of the "voice" or "roar" sound of a Reaper. A clean rip of Reaper's main laser cannon sound. The Normandy SR-2, battle ready etc. etc. SR-1 also welcome. Should have appropriate weapon mounts as lore-accurate as possible. Frigate size recommended, but slightly larger if necessary to get enough details in. Thanix Cannons. Mount and projectile art, and sound effects if a clean enough rip is possible. Though I doubt there would be, if there's enough interest and art/sound contribution, I'd be glad to whip up some entire, separate Mass Effect factions and keep them up to date with new Starfarer versions. All contributions would of course be fully credited. Thoughts, ideas, suggestions, criticism, etc. welcome as this thread does or does not develop. lol, i kept making screenies of the final space encounter, cause I kinda.. surprisingly like space battles. But EA was kinda greedy, they dont show much details, just -"look, look" lotsa ships there.. cut. from Starfarer perspective - they should be hidden - on ships belly for example? How to deal with that? 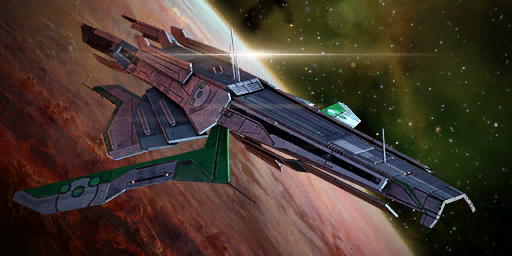 That deviantart gallery has some really good examples, especially the exposed-weapon Sovereign class Reaper. If anyone would like to snag and touch up some of those, if they work, I think they'd make a great starting point. I love the idea, but unfortunately all I can offer is moral support. Best of luck!